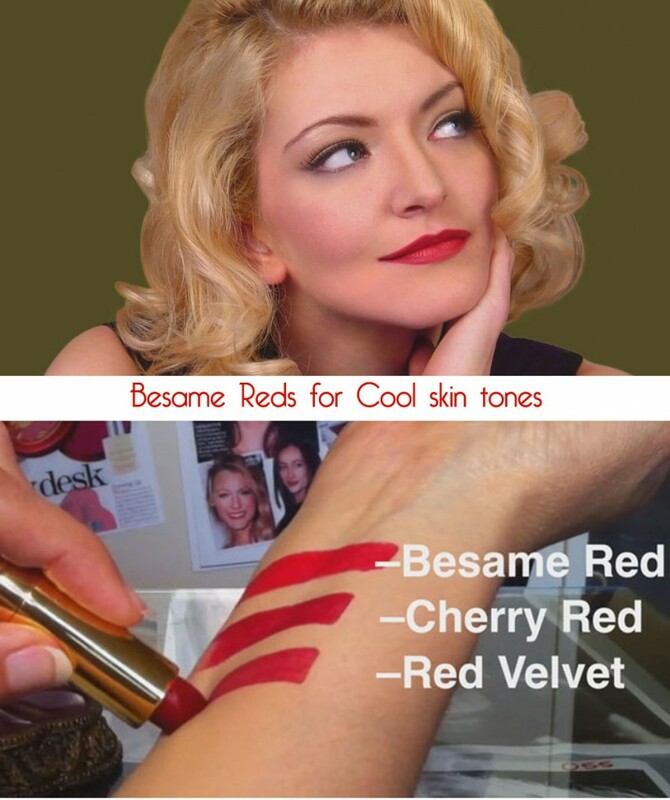 Besame Cosmetics – The Purr-fect Red Lipstick ! 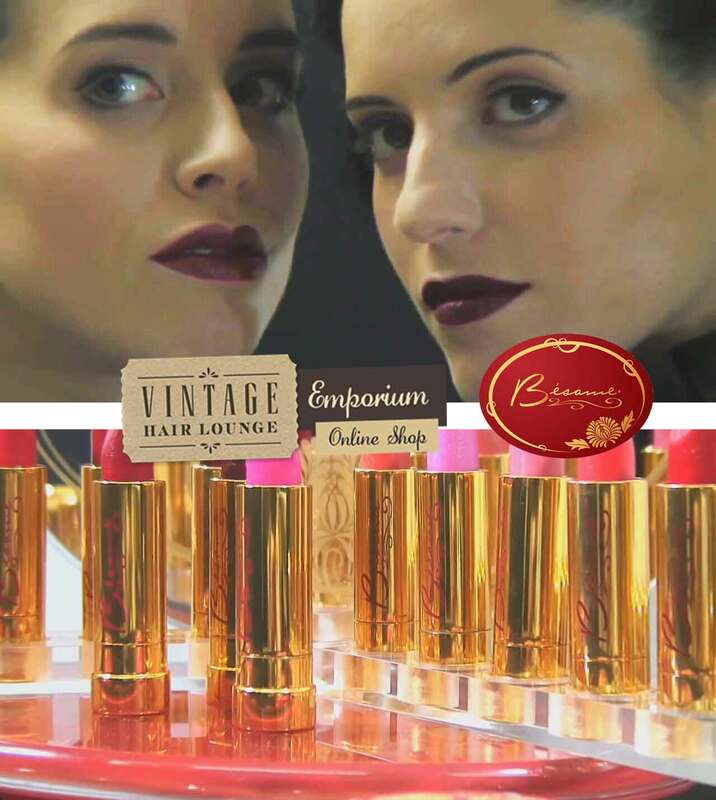 Today Gabriela Hernandez of Besame Cosmetics helps you find the perfect Red lipstick from their beautiful range of vintage inspired lipsticks. ” First let’s figure out if your skin tone is warm with yellow undertones or pink with cool undertones! Then pick a color to match your skin tone. Matching lipstick tone with skin tone is the easiest way to find your perfect red. Of course if you’re feeling bold, why not try a color outside your skin tone. You never know when an unexpected red is going to look amazing on you. 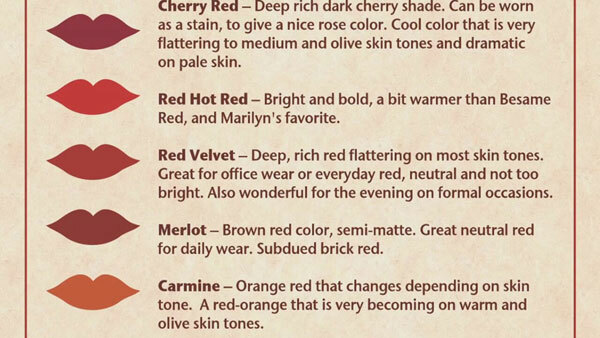 Either method, once you find your perfect red, you’ll wonder how you ever got along without it!! 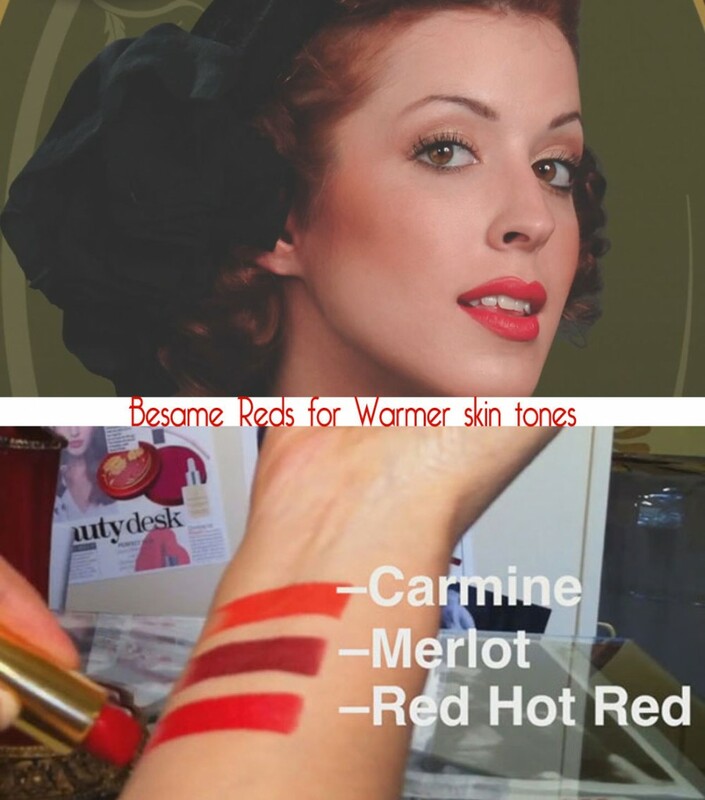 Besame Cosmetics – Red Lipstick Palette. 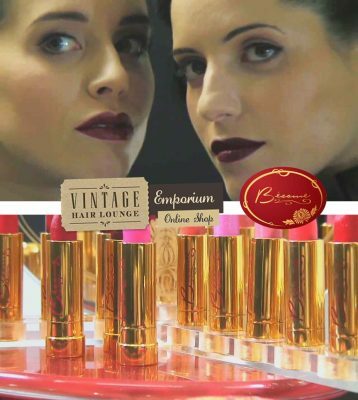 You can also purchase Besame Red lipsticks online ! Don’t forget you can also get a signed copy of Gabrielas Classic Beauty – The History of makeup, a beautifully illustrated tour through the makeup eras.